Campfires are the first hazard in the game. If you step on it, you are set on fire for a couple of seconds, which is enough to deplete 80% of fully healed hero. At least, until you buff your hit points. 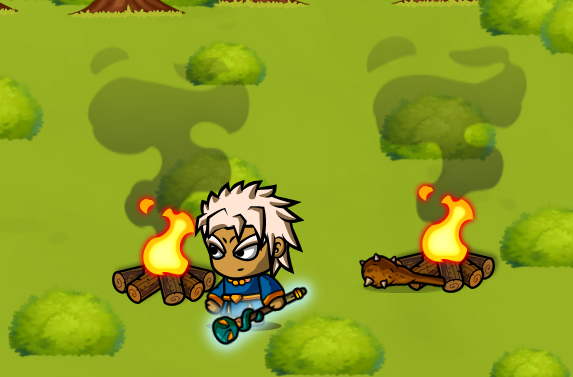 The fire does not kill you ever, but it can lower your HP to just one point and then a single enemy hit will bring you down. Enemies try to stay away from it, but with some skill you might be able to push them into fire by a well placed sweeping attack. Bombs have three different purposes in the game: 1. blast the rocks to find some items hidden underneath and to open some blocked passages. 2. blast doors to escape tough battles or locked doors when you don't have a key. 3. blast your enemies. This 3rd use is hard to do because the enemies are constantly on the move, but it's great for bosses because most of them will be stunned for a couple of seconds if the bomb hits them. Yeah, those exploding barrels are really in the game, but they have a special role. It's secret you will have to discover while playing. It never teleports you into a boss fight, but anything else is possible. 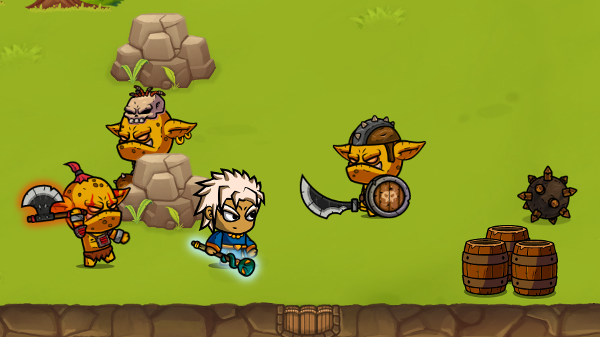 During the adventure, you will be able to upgrade your weapons as well. 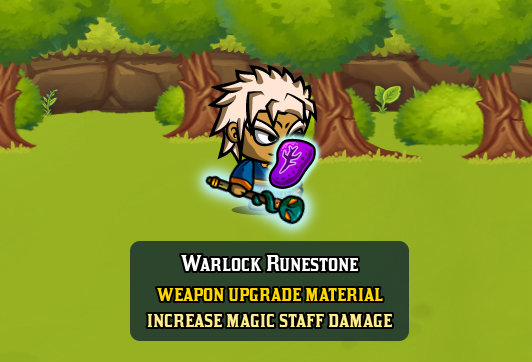 The upgrade material are the runestones, magic stones of unknown origin that can be used to improve damage and range of your weapons. There are different runestones for melee, magic and ranged weapons. On every level there will be some areas that are behind locked doors or simply blocked paths. If you manage to find keys or blast your way through (or teleport across, or ...) you can get inside and loot all the chests. Well, maybe not all. Some chests are locked and you need a key to open those. This beautiful gold chest is a drawing by a new artist on the team who will be contributing some more art to the game in the future. You might discover rings that give you special powers of the second sight. 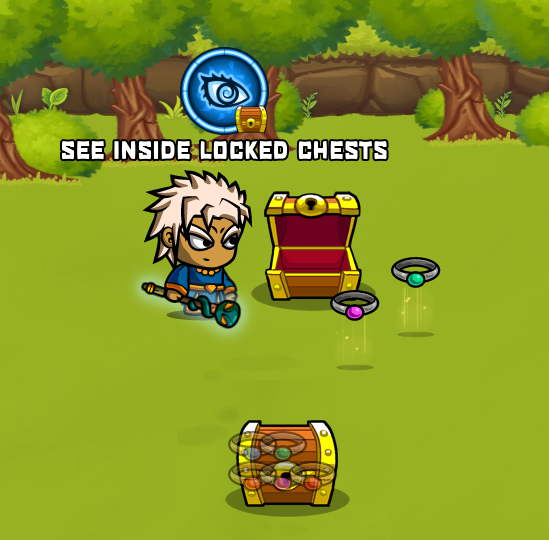 For example, the blue one allows you to see inside locked chests. Does this look cute, silly, or ...? I call them SpikeBalls. Does anyone know the real name? Apparently a good name for spike balls is "Caltrop". Those numbers are percentages. 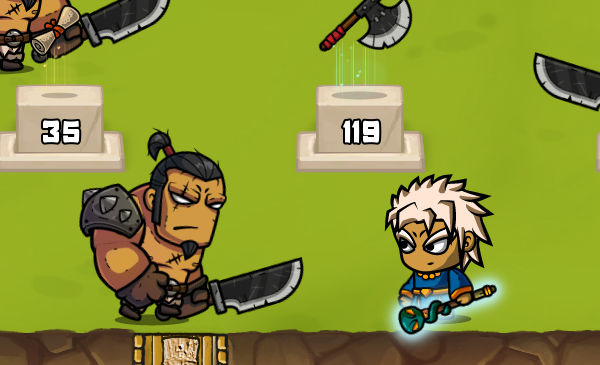 For example, if a Sword does 12 damage, a hero with 100 Melee will deal 12 damage when he hits, while a Hero with 50 Melee will only deal 6 damage. 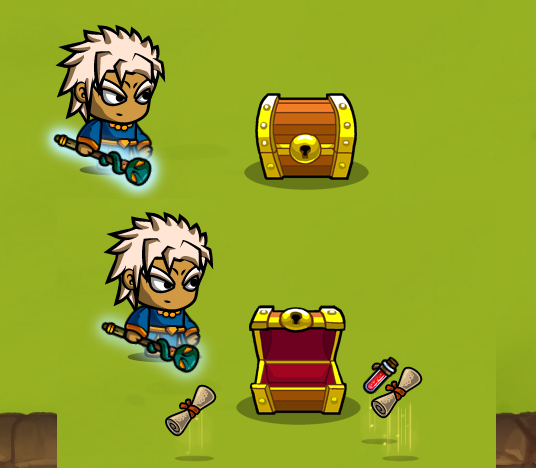 Those skill numbers can increase and decrease during game with various potions and artifacts. 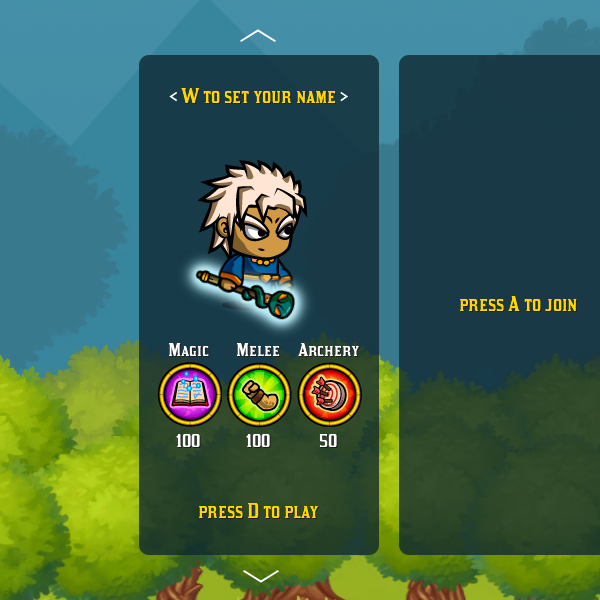 The character on this screenshot has both Magic and Melee at 100 for testing purposes, but there won't be any such character in the game... Actually, one class (Paladin) will be close, but it will have something like 100/70/30 for Melee/Magic/Archery. While I don't think there's anything wrong with that system, it seems like it would discourage variety during play sessions which seems like it would go against the variety you're trying to enforce with all of the weapons. You might just know something I don't, though. The main reason for this is that I expect the game to be played by multiple players, each using a different class of character. This way they won't compete for items. Although, you might be right for a single player game. This could create a problem. You would still be able to use the special attacks even if it's outside your class ability, but then you would use it as a secondary weapon and it would take one slot (inventory slots are meant to be limited). I plan to have one class that is fairly balanced (70/70/70), so players can pick that one if they want to be able to use all items effectively. I guess the only way to tell would be through play testing. You're right. I have some more dramatic music for the boss fights, so I could use that. Combined with shorter cuts, it would be more engaging.